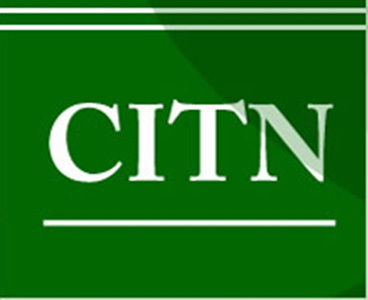 Registrar of the Chartered Institute of Taxation of Nigeria (CITN), Mr Fisayo Awogbade, Sunday, said the institute would delist members found involved in tax malpractices . Awogbode who disclosed this at the ongoing Annual Tax Conference (ATC) organised by the Institute in Abuja, said such action was geared at sanitising tax industry of fraudulent practices in the country. Towards achieving this target, he said the institute had established Staff Practices Monitoring Committee (SPMC) to monitor its members. Awogbode said the committee was empowered to compile a list of members all over the country, monitor certificate reissuing and renewal of practicing licenses. According to him, the institute has also set up disciplinary committee and tax tribunal to ensure the handling of erring members charged with any malpractice. “Such members would be brought before the disciplinary committee, if found guilty, then his case will proceed to tax tribunal. “Let me inform you and the public that the tax tribunal has equal status with the High Court of Nigeria. “If the defendant in question did not agree with the outcome of the tax tribunal, he could proceed to the court of appeal, then Supreme Court” he said. Awogbade said CITN reinforced on such reform because its chain effects on tax revenue generation and its dividends on the country. “Since taxation is the next revenue generation hope for the government, all linkages must be stopped and the institute is poised to ensure this” he said. He said the Institute had been liaising with the government on the ways the country can overcome oil revenue decline. He said, CITN had been sending position papers to the federal government and parastatal agencies involved. He added that CITN had given several suggestions on what the government should do to improve the economy. “But the missing gap is that, government has not been forth coming in fulfilling its own part. ” We have always been on advocacy side, sensitizing Nigerians to pay tax, spending our own money without any support from government. ” We have been sensitizing government to provide basic amenities and make life easy for the people” he said. He said government had not yet fully professionalise tax services, especially, Internal Revenue Services (IRS). “Professionalising tax services would increase the revenue generation of the country. Lagos State Internally Generated Revenue (IGR) started increasing when its tax services were professionalised. “As at the last count, Lagos State IGR had hit N20 billion. So also in Adamawa and Edo, all because the they adhered to services of professionals,” he said.